Two consecutive league defeats to Newcastle and Everton puts the Scotsman under huge pressure and many are tipping him for the ax in the New Year. Moyes has now told the press that he takes full responsibility for United's sudden slump in form that leaves them 13 points clear of the Premier League leaders Arsenal. 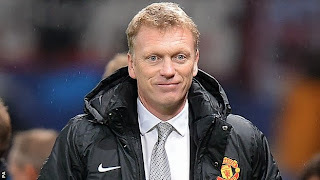 "I take complete responsibility for the results," Moyes said. "Fortunately they have been good in the Champions League but they've not been good in the Premier League. I would like them to be much better. I think there is a bit of everything we could be doing better. We would like to pass it better, to create more chances, to defend better when those moments arise so it is all round. "It is tough because we expect to win all the games. We have been inconsistent at times and we have played very well in some of the games in the Champions League, not so well in the Premier League, albeit we have lacked a little bit of good fortune at times. "